Technology is innovating and driving change in many different sectors. Today we have Phil Wedgwood of Rekoop talking about time recording – a technology that’s revolutionizing the legal sector. His insights also give a glimpse at how a technology could potentially change the landscape of a sector and it’s relationship with its clients, which is pretty inspirational no matter what business you’re in. Time recording was probably one of the most active sectors within legal technology during 2014, with 30+ top and mid-tier law firms deploying a third party system to help capture billable and non-billable fee earner time. This might come as a surprise to those within legal as time recording is nothing new – indeed the functionality has been embedded in practice management systems (PMS) for a couple of decades now; and in Carpe Diem, firms have even had a dedicated solution available to them since the 90s. So why the hurry up all of a sudden? Why this swelling tide of market activity, of firms switching away from their PMS and embracing specialist systems at an unprecedented rate? Well, where Carpe led, others have followed, and today the specialist time recording space is dominated by three global vendors. Their rise has been fuelled by firms’ growing management sophistication; aided by the PMS vendors’ effective surrendering of the time space, and electrified by their own competitive instincts. The standard approach for law firms is increasingly to invest in best-of-breed: a modern accounting system, and a dedicated time capture system to feed it. At the sharp, decision-making end, you have finance directors and managing partners now focused far more on understanding the cost of doing business. It’s not just about the billable hour anymore, and capturing as much time as possible for the client bill; it’s about getting a clear picture of what it actually costs to deliver a piece of work to a client. Without the data you can’t conduct the sort of analysis that will powerfully inform aspects such as pricing, budgeting, WIP management, resourcing, and even training. So you need the data as an input if you are to have analysis as the output and better decision-making as the outcome. That puts the onus squarely on time recording systems to deliver timely, accurate and comprehensive data sets in the first instance. But much more importantly – and this is where we’re seeing key vendor differentiation – it also demands a new style of collaboration between client and supplier. One of the particular growth drivers for 2014 was how Rekoop chose to engage with the market. We didn’t obsess about showing how much more time could be captured, how much more easily it could be recorded, and how much more quickly and immediately it could be posted to the PMS – that’s just standard with the product, and there was no real need to shout about it. We designed it to overcome all the traditional hurdles of fee earner time recording from day one; so for us, the technology wasn’t the big news and is not where the interesting debate lies. What we looked at instead was helping firms better understand the currency of time, to see how time relates to cost and how time/cost data can be leveraged in ways that have real value to the business. What did excite us, and the clients – converting many a prospect meeting into a full blown trial – was the information, insight and intelligence that could be gleaned from the incredibly powerful data set that Rekoop pulled together. There’s a truism that ‘you don’t know what you don’t know’, and as the results of trial periods came into the executive boards, and the stats and metrics started to be weighed up, you could see a whole new level of empowerment developing, a feeling of much greater control through much improved knowledge. Time’s value doesn’t just lie in the billable hour anymore; it has a place in, and impact on, every business discipline. As the only ‘pure play’ time recording vendor out there, we’re developing, almost by default, a consulting wrap around our technology to take firms along their time journey. For some, their priority is still a very basic one of minimising leakage and ensuring revenues are not compromised through poor time-keeping. But for others – probably 30-50% of the top 350 UK law firms – it’s all about understanding the true cost of their work, mapping cost drivers and determining how and where to unlock better business value. The motivation on their side, and the determination on ours, are now set to make 2015 an even more exciting year for time recording. 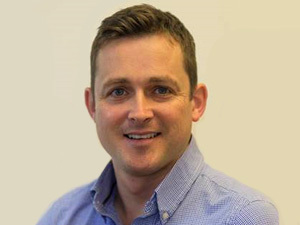 Phil is CEO of Rekoop (www.rekoop.com), a time recording market leader that actively consults within the top 250 on how firms can derive greater business value from their time data. Expert View: Why is a Brexit Deal So Complex? Is Omni-Channel the Future of the High Street? DevOps Blog Series: What is Containerisation?